Are you stuck without a data connection on the road? Well, don’t worry, because there are more and more free Wi-Fi networks. However, we suggest you use them with caution or else you might end up with your personal stuff (email account, facebook account etc) compromised. 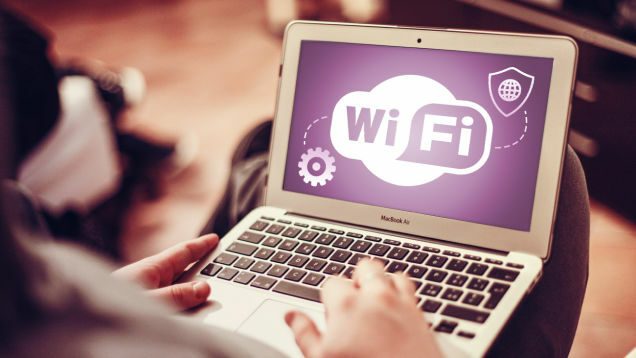 Today we’re going to give you some tips that will help you to connect to a free public Wi-Fi without having to worry about your privacy. We’re all tempted to connect to any free Wi-Fi hotspot that we find. However, if you plan to log into your Facebook account or make a credit card payment, it is better to do it on a more secure Wi-Fi network, such as one from a restaurant. Make sure that you check the name of the wireless network and ask someone who works in the restaurant if that’s the name of their wireless network and if it’s safe to make transactions. There are a lot of free Wi-Fi network that are used to intercept your data and get your credit card data, facebook data, email data etc. So this is why we suggest to double check when you connect to a free wi-fi that’s available in a restaurant/coffee shop. If you are connected from your laptop device via Windows, we suggest you to turn off the file sharing and mark the wi-fi network as “public network. To turn off the file sharing, go to Control Panel->Network and Sharing Center->Change Advanced Sharing Settings. You should also turn on the Windows Firewall when connecting to a public network. To do this, go to Control Panel->Windows Firewall and turn it on. If you are using a Mac device, open the System Preferences and search for the Sharing icon. Once you find it, uncheck File Sharing. To turn on the firewall on OS X, you will need to go to System Preferences->Security & Privacy->Firewall. One of the best ways to keep your browsing session secure is by using a Virtual Private Network (VPN). A VPN client will encrypt the traffic between your device and the VPN server, which means that the hacker will have a hard time trying to steal your data. If you don’t have a VPN set at your workplace, there are other ways that you can get around this. For example, you can set one up on SecurityKISS that comes without any annoying ads. However, you are limited to 300MB/day, but that’s enough for checking your emails, checking your Facebook notifications and doing any other stuff. CyberGhost is another free VPN service, but it also comes with a paid version that offers a much better speed. There are a lot of VPN services all over the internet that are free or for which you need to pay. It’s better to research the market before you buy one or just test out some free VPN services and see if it’s worth buying the paid version. Always check for the lock in your browser to make sure it’s making a secure connection. You can use a HTTPS extension such as HTTPS Everywhere, which can be enabled on Firefox for Android, Firefox, Opera and Google Chrome. This way, you activate the encryption on all parts of the website, making sure that your privacy stays untouched. It’s important to enable a two-factor authentication on services that support it. For example, Facebook, Twitter, Gmail and other services that have this feature, this allows you to add some extra security to the account. Once you’ve finished checking your email, your Facebook account, twitter account etc, disconnect from the Wi-Fi network and after that go to Wireless connections and make sure that your device “forgets” it. By forgetting a Wi-Fi network, your device will not automatically connect to it once it gets in range. In Windows, you can uncheck the “Connect Automatically” box that’s next to the network name or by going to Control Panel->Network and Sharing Center, right click on the network name, select Wireless Properties and uncheck “Connect automatically when this network is in range”. On Macs, you will need to go to System Preferences->Network->Wi-Fi->Advanced and uncheck “Remember networks this computer has joined”. You can also manually remove a network by selecting it and pressing on the minus button below it. On iOS, you will need to go to Settings->Wi-Fi Networks and tap on the “i” icon of the network name that you want to remove and select “Forget this Network”. On Android, you will just need to long press the network name and select “Forget Network”. HINT: We suggest you never use your credit card or bank accounts while on a public unsecured Wi-Fi network, or you will probably end up with your accounts getting hacked. It is better to do these types of transactions only when you are connected via mobile data or to a secure network. Next articleGoogle Photos vs Apple Photos – Which One Is The Best?